Another completed 24hr Grand Prix completed and unfortunately the officials announcing the last Wonthaggi event to be held. 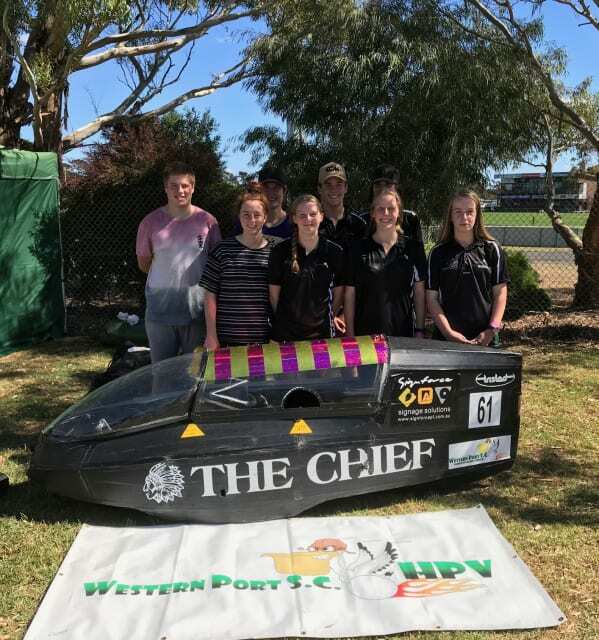 During their pre-race briefing the officials recognized Western Port HPV as 1 of 5 schools to have participated in both the first (1998) and last (2019) Wonthaggi events! A thank you to those staff, students and parents who started Western Port HPV and which has enabled our current riders this opportunity! The Wonthaggi Grand Prix had everything. 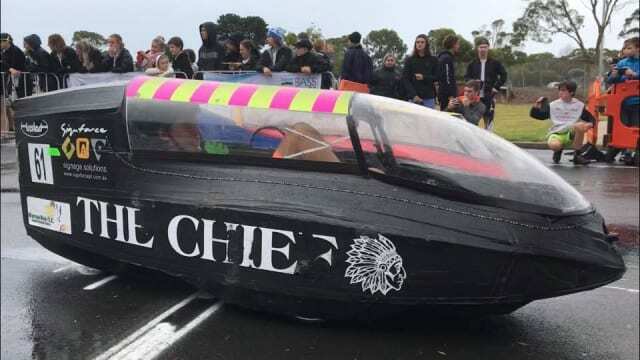 Our event started on Friday with presentation and scrutineering and ‘The Chief’ passed with flying colours. Saturday saw the team set up early for race practice and qualifying resulting in grid position 32 out of 86. Moments before the race start the rains appears putting a dampener on the start roll-over for the race. After removing the gravel and inspecting the damage (nothing our supply of cloth tape couldn’t fix) the trike returned to the race. As the night set in, condensation and light proved to be factors for the riders. After 24 hours of racing the team completed 353 laps for a total of 494km. All our riders found something throughout the race to contribute in a big way to achieve our 50th position at the end of race. A fantastic effort for Western Port HPV as we begin our 2019 season. A special mention to both Max and Haylee who completed their first HPV event, extra remarkable as this was a 24hr race. Thank you to all the parents (Di, Brent, Sarah, Skye, Mark, Simon and Jane) that came and supported us over the weekend. Without the support of parents and the community we could not achieve and continue to achieve our results. Looking forward we have been successful in gaining two entries for the Energy Breakthrough 24hour race at Maryborough in November. Any student who is interested in joining the HPV team will need to speak with Mr Aldham early term 2 for further information. As always we are seeking support of the wider school community in our sponsorship and fund raising efforts. Our aim for 2019 is to be successful in purchasing a new racing trike for the senior team. If you would like more information regarding these opportunities please contact the HPV Team Manager, Mr Aldham, via the college.